Bob Abdo is admitted to practice in Minnesota state and federal courts and United States Supreme Court. 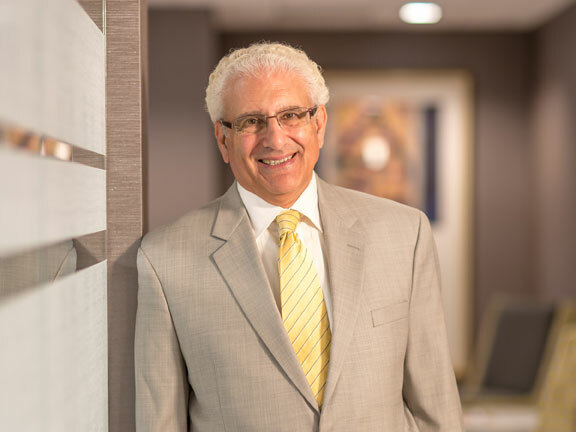 Bob Abdo is Executive Vice President of Lommen Abdo Law Firm and chair of the Business, Estate Planning and Real Estate Group. He brings a wide variety of background and experience, giving him a practical and substantive perspective to advise clients. He acts as general outside counsel to a variety of businesses. Bob represents start-up, emerging and growing private and publicly held businesses. He provides legal, transactional, estate and family planning, business strategy and long-term planning, counseling and advice to varied businesses, organizations and individuals. His practice consists of securities, real estate, estate planning and business and corporate law matters, including entity formation and related agreements, private and public offerings, mergers and acquisitions, employment, deferred compensation plans, Collateral and Endorsement Split Dollar Insurance Agreements, 457(f) Plans, contracts, venture and other financing. Bob Abdo is very business-minded and always approaches discussions with the overall business impact in mind. He provides a big picture outlook while paying close attention to pertinent details. 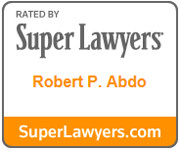 I have been working with Robert Abdo at the Lommen Abdo Law Firm for the past 20 years. Their expertise and the time it takes to provide documents for my clients is outstanding! I highly recommend Robert! Bob is rated AV Preeminent® for the highest level of professional excellence by Martindale-Hubbell. He has been included on the Minnesota Super Lawyer lists in the categories of Small & Privately Held Business Law, General Business and Business/Corporate. He is recognized in The Best Lawyers in America© for his work in the practice area of Entertainment Law – Music. He is involved in community affairs including as former trustee and six term mayor of the City of Minnetonka Beach, President of the Minneapolis Athletic Club and President of Lafayette Club. He has been a member and/or chair of many community and private committees, commissions and boards. He was a First Lieutenant, USAR and Chief Finance Officer and Assistant Personnel Officer of the 5501 U.S. Army Hospital unit. Do you know how a 2015 law could affect your LLC next year? Advice from an all-too personal experience: so your identity is stolen…Now what do you do?